And if you already have a last-gen version of the hit construction adventure game, the new-gen upgrade will cost only $5. If you've bought Minecraft: Xbox 360 Edition from Xbox Live Marketplace, or played online with the disc version, you will be able to upgrade to Xbox One Edition for $4.99. Players with Minecraft: Xbox 360 Edition saves will be able to import their worlds to Xbox One. Unfortunately, you won't be able to transfer saves from Xbox One to Xbox 360. We can make worlds bigger without too much stress, but shrinking them causes all kinds of problems. Many, but not all, of the DLC skins and texture packs you've purchased for Xbox 360 Edition will be available for use in Xbox One Edition. We'd like to say all your DLC would transfer, but some of the items are trapped in licensing deals that are too boring to get into here. We'll have more on this soon. 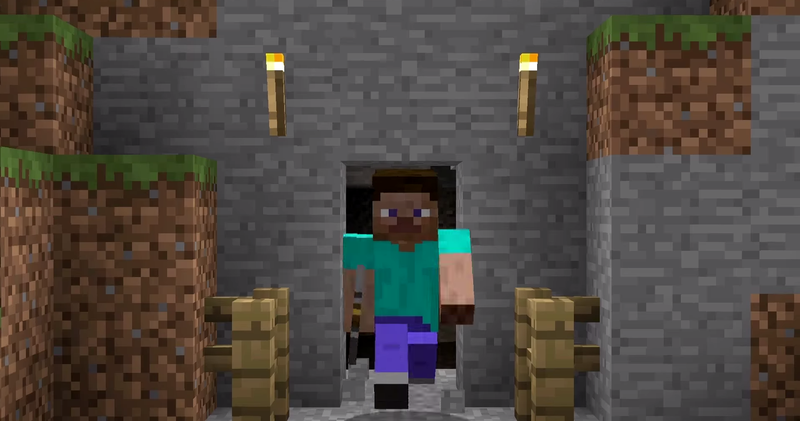 If you've bought Minecraft: Playstation 3 Edition from PSN you'll be able to upgrade for free. We are working closely with Sony Computer Entertainment to look into ways to enable upgrade from the Blu-ray disc version of Minecraft: Playstation 3 Edition to Minecraft: Playstation 3 and Vita. We'll have more info on this closer to release. This means everyone who has bought Minecraft: Playstation 3 Edition from PSN will get it on Vita for free. Those fluent in Sony-speak might refer to the deal as "Cross-buy." It doesn't matter if you buy for PS3 or Vita first, you own the game for both platforms. All of the DLC you've purchased for Minecraft: Playstation 3 Edition will work on Playstation 3 + Vita Edition. If you've bought Playstation 3 Edition from the Playstation Network you will be able to upgrade for $4.99. We are working closely with Sony Computer Entertainment to look into ways to enable upgrade from the Blu-ray disc version of Minecraft: Playstation 3 Edition to Minecraft: Playstation 4 Edition. We'll have more info on this closer to release. Players with Playstation 3 Edition or Playstation 3 + Vita Edition saves will be able to import their worlds to Playstation 4. Unfortunately, you won't be able to transfer your saves from Playstation 4 to Playstation 3/Vita. There are technical reasons for this; we can make worlds bigger without too much stress, but shrinking them causes all kinds of problems. Many, but not all, of the DLC skins and texture packs you've purchased for Playstation 3 Edition will be available for use in Playstation 4 Edition. We'd like to say all your DLC would transfer but some of the items are trapped in licensing deals that are too boring to get into here. We'll have more on this soon.